An Amazing transition from a knotty pine cabinets and tile counter tops. Natural edge Cedar plank counter top White Shaker Cabinets and Silestone - Cemento Spa Suede Counters make this kitchen up to date. 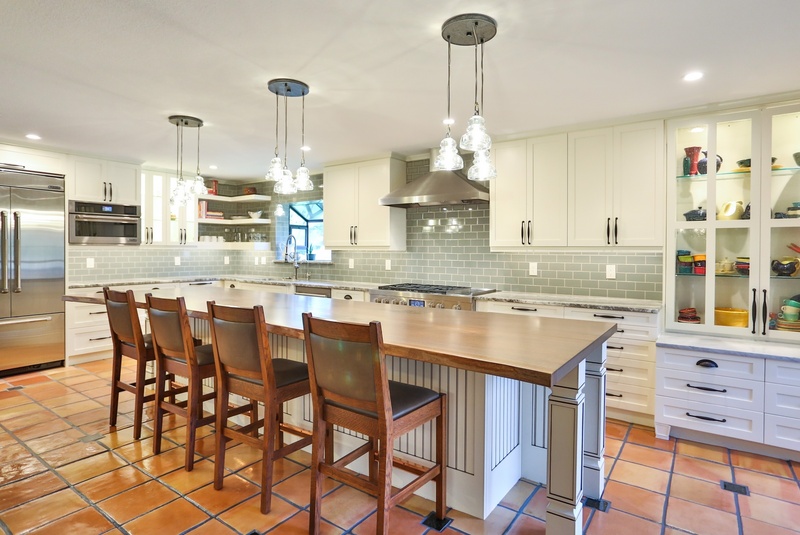 Vintage Pendants, Lighted Upper Cabinets and LED low voltage undercabinet lighting make it easy to work in any time of the day. Our new favorite kitchen. This homeowner wanted to increase the size of her kitchen and make it a family center during gatherings. The old dining room was brought into the kitchen, doubling the size and dining room moved to the old formal living area. Shaker Cabinets in a pale yellow were installed and the island was done with bead board highlighted to accent the exterior. A baking center on the right side was built lower to accommodate the owner who is an active bread maker. That counter was installed with Carrara Marble top. 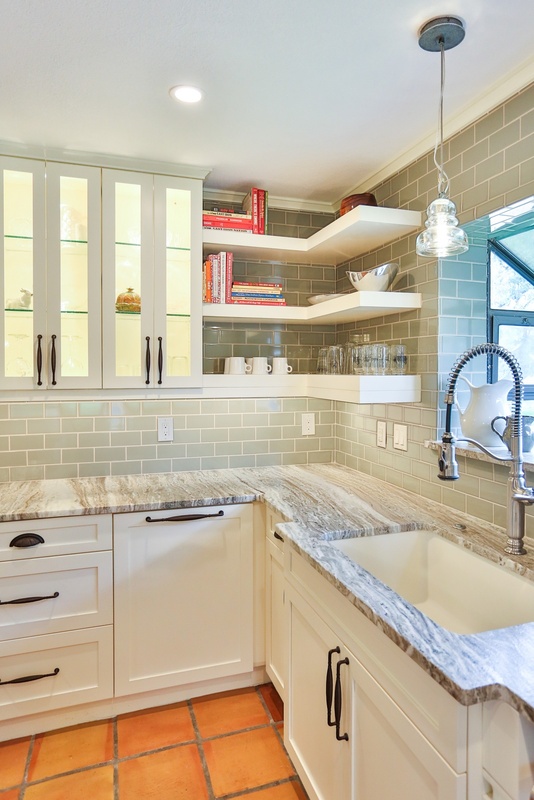 Glass subway tile was installed as the backsplash. The Island counter top is book matched walnut from Devos Woodworking in Dripping Springs Tx. It is an absolute show stopper when you enter the kitchen. Pendant lighting is a multipe light with the appearance of old insulators which the owner has collected over the years. Open Shelving, glass fronted cabinets and specialized drawers for trash, dishes and knives make this kitchen the owners wish list complete.